With a devastating drought worsening an already horrendous humanitarian situation in Afghanistan, parents are increasingly compelled to “sell” young daughters into marriage to pay off debt or buy food, the U.N. said Tuesday. In the drought-hit Herat and Baghdis provinces of Afghanistan, the U.N. children’s agency estimates that at least 161 children between the ages of one month and 16 years were “sold” over just a four-month period. “The situation of children is dire in Afghanistan,” UNICEF spokeswoman Alison Parker told reporters in Geneva. “Prior to the drought, over 80 percent of households were already in debt,” she said, adding that many people who had hoped to pay off their debt when crops came in have been unable to do so. “Unfortunately the children are now becoming the collateral,” she said. The youngest girls in the survey, some just babies, had been betrothed while girls of 11 and even younger were married off. 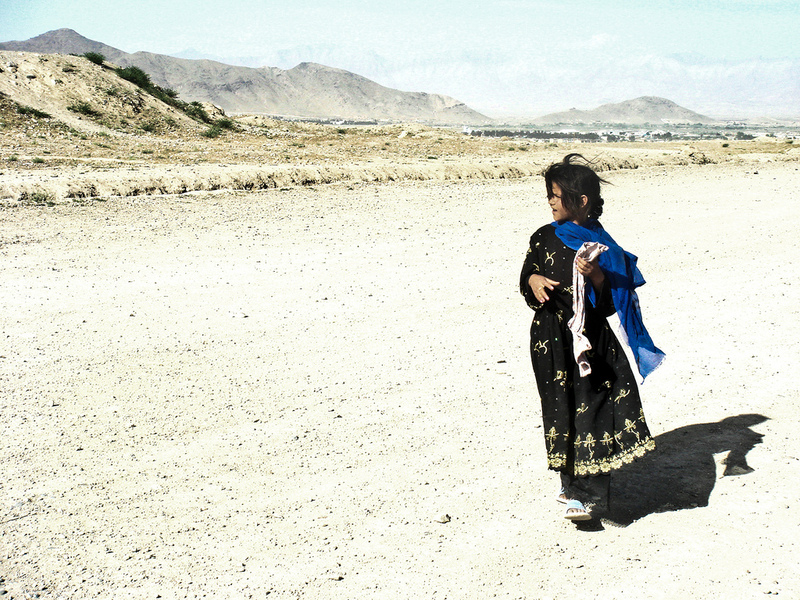 Parker pointed out that “the practice of child marriage is sort of an ingrained social norm in Afghanistan,” with 35 percent of the population engaging in the practice across the country, and as high as 80 percent in some places. “Unfortunately it is getting worse. Children are paying the price for conflict, children are paying the price for the drought,” she said. Members of Afghan civil society who have gathered in Geneva for the conference agreed that there had been a clear increase in young girls being “sold” into marriage. “It is very, very shocking,” said Suraya Pakzad, who heads Voice of Women, Afghanistan. “Girls aged between 8-12 years old (are being) sold to old men to solve the economic issues … of their families,” she told reporters on the sidelines of the conference. She described speaking with a father who had “sold” his seven-year-old daughter into marriage, and who said he had no other choice. “People are in desperate need of help, services. Particularly food,” she added. The U.N. refugee agency also said that the worst drought in decades has made a desperate situation worse. The drought and ongoing conflict have seen more than a quarter of a million Afghans being displaced in the west of the country since April alone, UNHCR spokesman Babar Baloch said.